This Christmas Eve join us at 5:00 pm as we sing the Carols of Christmas together. In the first half hour we'll sing the songs of Christmas together. All this is in preparation for our Service of Holy Communion. All are welcome, and you are invited. 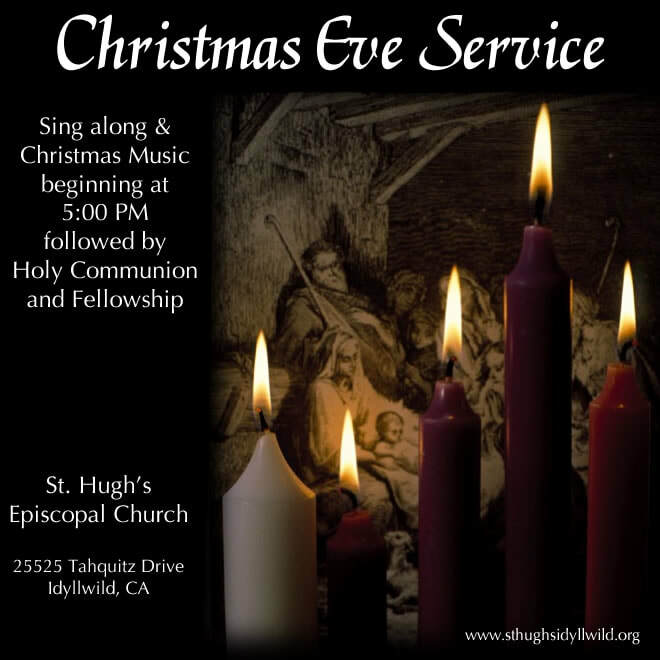 Come join us for this holy night when the Light of World was born in Bethlehem. ​Road Conditions | Chains may be required. Be sure to check (CalTrans Website).